Pedro Friedeberg is a Mexican artist and designer known for his surrealist work filled with lines colors and ancient and religious symbols. 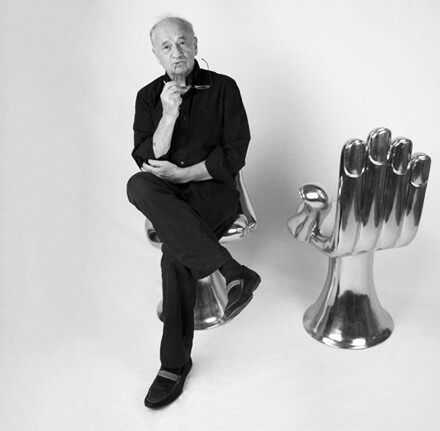 His best known piece is the “Hand-Chair” a sculpture/chair designed for people to sit on the palm, using the fingers as back and arm rests. Friedeberg began studying as an architect but did not complete his studies as he began to draw designs against the conventional forms of the 1950s. His work caught the attention of artist Mathias Goeritz who encouraged him to continue as an artist. 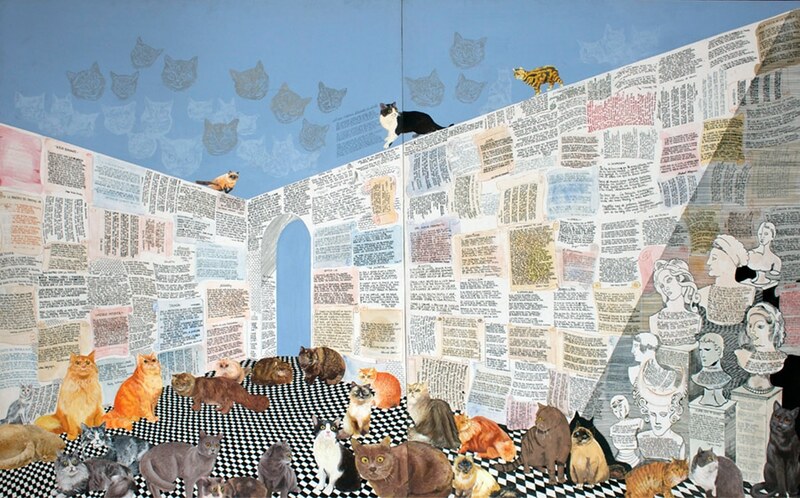 Friedeberg became part of a group of surrealist artists in Mexico which included Leonora Carrington and Alice Rahon, who were irreverent, rejecting the social and political art which was dominant at the time. Since his first solo exhibitions in the late 1950s, Friedeberg has become one of Mexico’s most recognized artists, with his surreal artworks found in the collections of prestigious galleries and museums around the world. Often referred to as the last great eccentric, Friedeberg creates absurd and irreverent works that challenge convention and push the limits of the impossible. Friedeberg has had a lifelong reputation for being eccentric, and states that art is dead because nothing new is being produced. Contact us to sell your Friedeberg works. Friedberg was born in Florence, Italy in 1936 to German-Jewish parents and immigrated with them to Mexico at the beginning of World War II. His colorful childhood contributed to his love of reading and drawing, for which he showed an affinity at an early age. 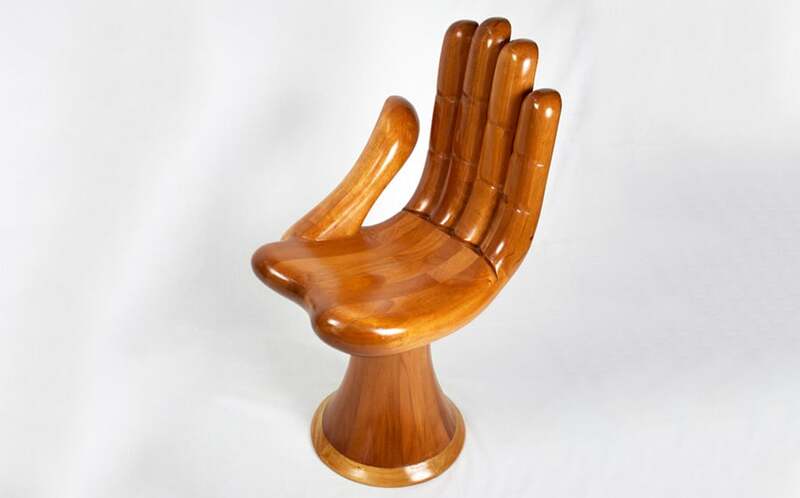 Since its creation in 1962, his iconic Hand Chair has sold more than 5,000 copies. 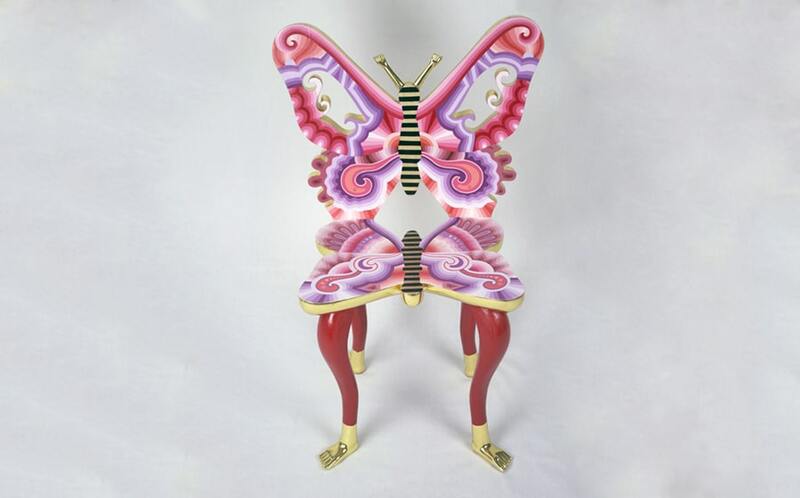 The original chair was made of mahogany but Friedeberg has since produced version in gold and silver leaf. 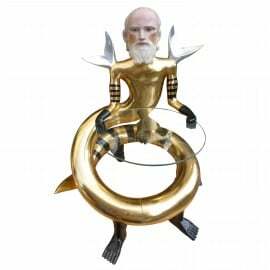 While Friedeberg’s furniture designs can be placed in the same category as Salvatore Dali’s, Leonor Fini’s or Meret Oppenheim’s, Friedeberg will be the first to admit that to him they are sculptures first and functional objects second. The hand imagery has become one of his most powerful symbols, which he attributes to its open-ended meaning, and has found its way to many of his 3D and well as 2D works. Friedeberg’s has participated in over 100 exhibitions and his work is part of the collection of the Museo de Arte Moderno, Mexico, California Palace of Legion of Honor, San Francisco, Milwaukee Art Center, Milwaukee, Musee d’Art Moderne de le Ville de Paris, France, Musee du Louvre, Pavillon Arts Decoratifs, Paris, France, Museum of Contemporary Art, Chicago, Museum of Modern Art, New York, Philadelphia Museum of Art, Philadelphia, and Smithsonian American Art Museum, Smithsonian Institution, Washington, DC, amongst many other prominent museums.